Gautam Gambhir was Monday replaced by Nitish Rana as Delhi's Ranji captain after the team's seniormost player decided to make way for someone younger at the top position, a state association official said. "Gautam has intimated the state team's chief selector Amit Bhandari that he would like to opt out of captaincy. He suggested that someone younger be groomed for the job. Nitish Rana will lead the side and Dhruv Shorey will be his deputy," a senior office-bearer of the Delhi and Districts Cricket Association (DDCA) told PTI. The Delhi squad, for the first match scheduled on November 12, at the Feroz Shah Kotla will be named later on Monday. Gambhir was reinstated as captain at the start of the season and led Delhi to the Vijay Hazare finals and scored close to 500 runs in the National One-Dayers. 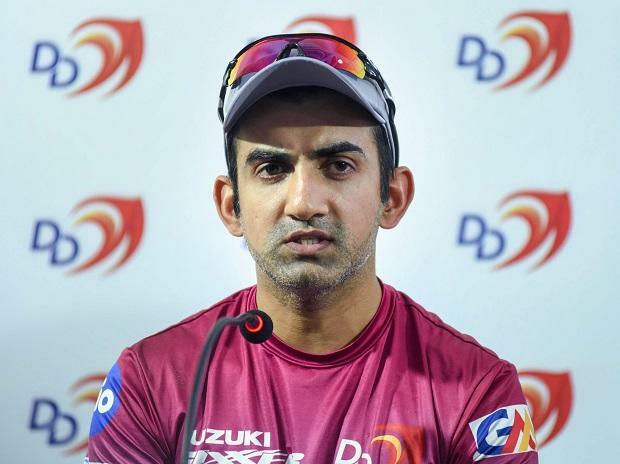 It is learnt that Gambhir, who is now 37, decided against continuing at the helm as it is still not clear whether he will play all the four-day games this season. Gambhir's decision to opt out of captaincy is also an indicator that he might not continue playing competitive cricket for a very long time. However, with no Shikhar Dhawan or Rishabh Pant, Gambhir's experience will certainly be required. Gambhir, however, had a slump in form during the IPL and his return to Delhi Daredevils' fold ended in a nightmare. The senior opener stepped down from captaincy and also didn't take part after the first six games of the cash-rich league. Of late, Gambhir has been active on social media on various issues ranging from politics to cricket.